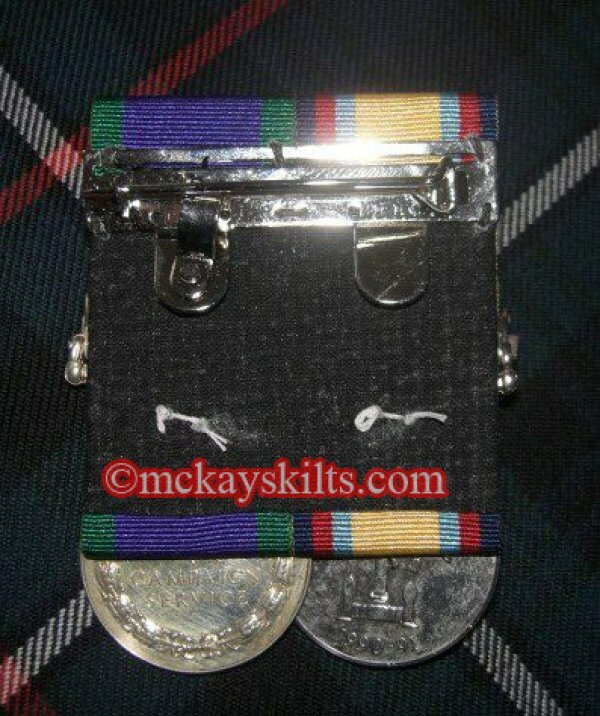 * Full Size and Miniature Medals Supplied. 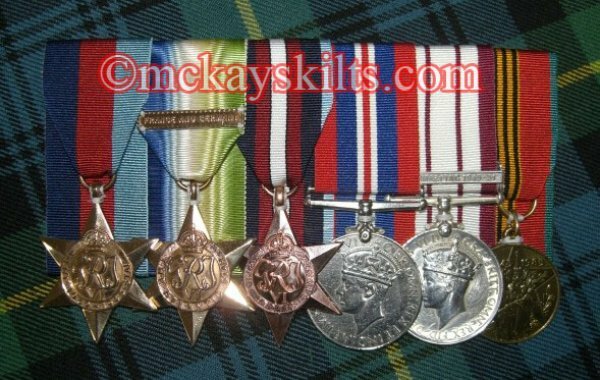 All medals are cleaned prior to work commencing unless the customer requests the contrary, new fabrics are used throughout the process. 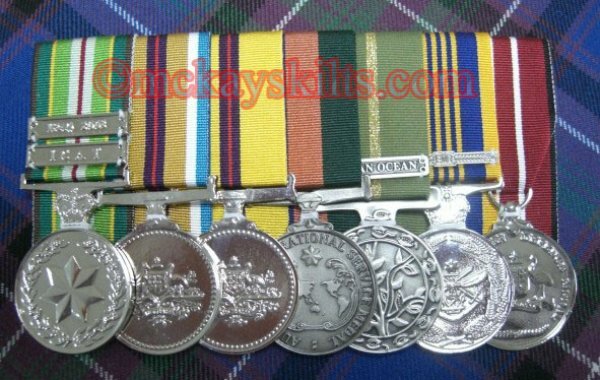 All the medals are hand and machine sewn and each medal is individually sewn down (please note, at no time is glue, tape or any other substance used to mount your medals ). 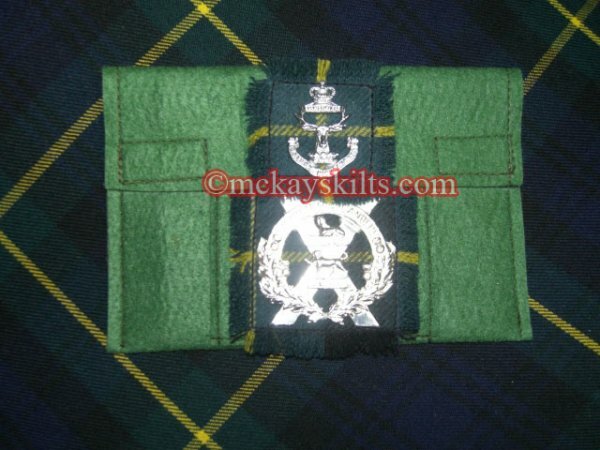 Prices - Please note these are average costs and may vary for unique awards. 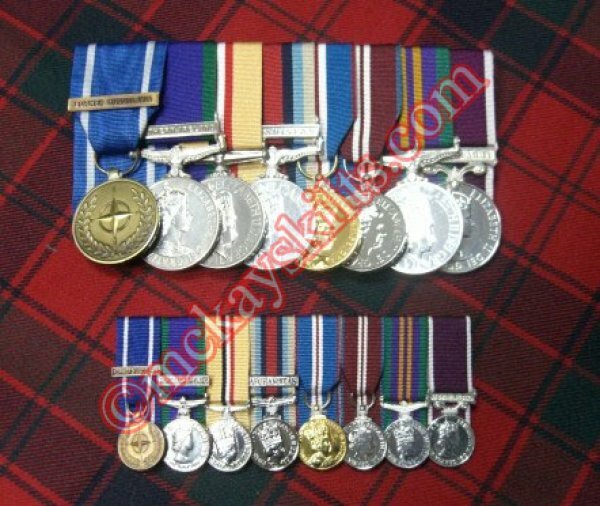 Foreign Medals vary in price but average at £12 per medal mount (court or loose mounted, full size or miniature) P&P £8.50 (special delivery). 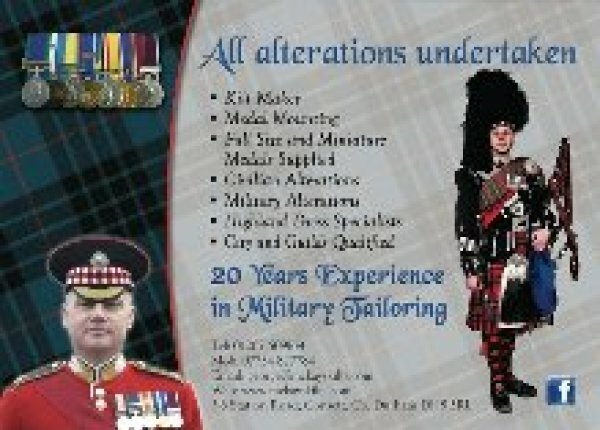 Ex Household Division Master Tailor with 20 Years of Military Tailoring Experience!